Location: Hwy 2; 108 miles north of Grande Prairie, 13 miles south of Peace River. Population: 2810. 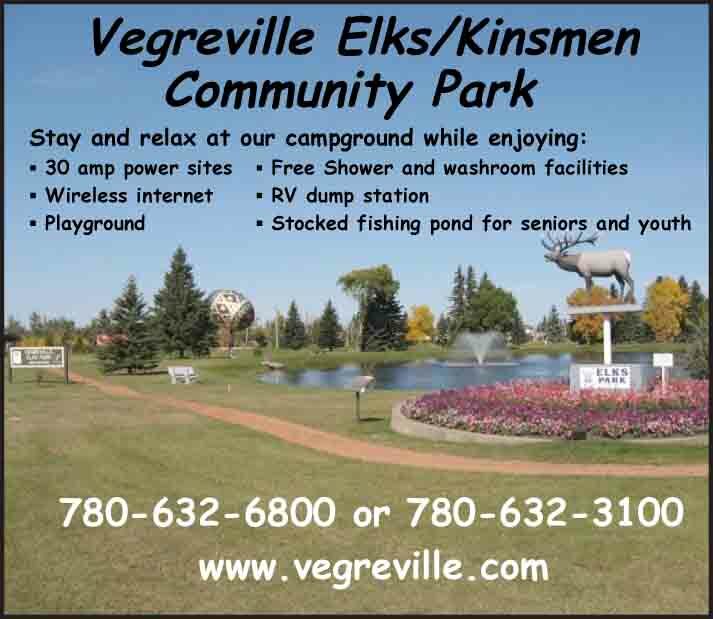 Visitor Information: Town of Grimshaw, PO Box 377, Grimshaw, Alberta T0H 1W0; Phone: (780) 332-4626. Grimshaw is home to the Mile Zero Monument, marking the start of the Mackenzie Highway, the scenic and vital supply route north to Yellowknife in the Northwest Territories. The Mile 0 Mackenzie Highway Antique Truck Museum, located across the highway from the old train caboose Grimshaw Tourist Booth in the center of town, also features the history of the Mackenzie Highway construction. Each August the museum hosts the Annual Trucker Reunion, which brings people from across Canada to visit and renew memories of the early days of trucking in the North. Lac Cardinal Regional Pioneer Museum is located 4 miles northwest of Grimshaw. 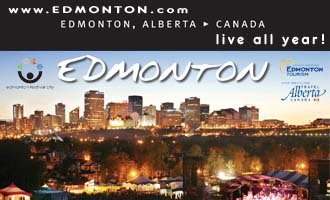 It is open May to September and may be reached at (780) 332-2197. 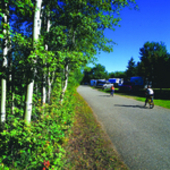 Two campgrounds and serviced RV parks are located on the edge of the community. A few minutes further from town, Queen Elizabeth Provincial Park is 4 miles west of Grimshaw and offers a 56 unit campground with electricity, picnic area and playground, sandy beach, boat launch, horseshoe pits and 3 miles of hiking/cross country ski trails along the large lake popular for sailing and water skiing as well as winter skating. The Park is a protective habitat for songbirds and waterfowl, where over 160 bird species take sanctuary. Figure Eight Lake Provincial Park lies a few miles further west from Queen Elizabeth Park and 5 miles north of Hwy 737. This is a very peaceful, well-stocked lake yielding 5 to 6 pound trout. Special events include the North Peace Stampede held in August at the Lac Cardinal stampede grounds, Canada Day Celebration on July 1st and the all night slow-pitch tournament held each year in June.